Please join us for our prize-giving ceremony of the fifth Poets and Players competition. The event is at the Whitworth Art Gallery, Manchester on 22 April 2017 at 2.30-4.00. Our judge, Michael Symmons Roberts will announce the readers who will read their poems. Michael will also read his work. Music from Li Lu. This is a free event and everyone is welcome. 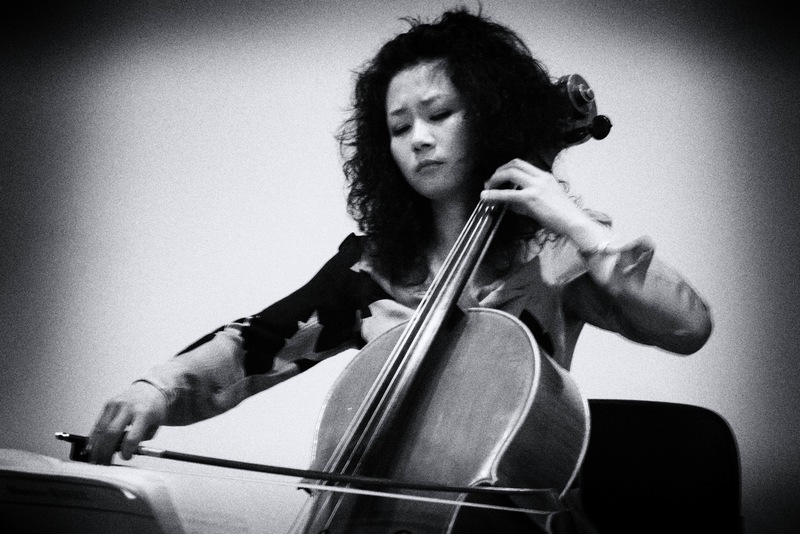 Li Lu, Cellist BA WCM, PGDip RNCM. Originally from China, Li Lu describes herself as ‘a cellist with wings, an artist with a bow and an adventurer with a cello’. Classically trained, as a soloist and orchestra musician, performance highlights include appearances at the Edinburgh International Festival, the Singapore International Music Festival, the Beijing Modern Music Festival and the Kronburg International Cello Festival in Germany. Li Lu’s artistic life took a new direction when she accepted a challenge to travel across Europe in 35 days from Athens to Edinburgh, purely surviving on playing the cello. Her performances were featured in a Sky Arts documentary Art of Survival (2011), reaching a vast audience in the UK and internationally. Li Lu’s adventure made her want to connect more with a nonclassical audience, especially to children, and it reawakened a long-held fascination with design and the visual arts. This has led her into a number of unconventional musical collaborations. In recent years, her theatrical interpretation of the Bach Cello Suites has been under long-term development. In addition to her exciting performing career, Li Lu works with Chetham’s School of Music where she enjoys teaching young music talents.